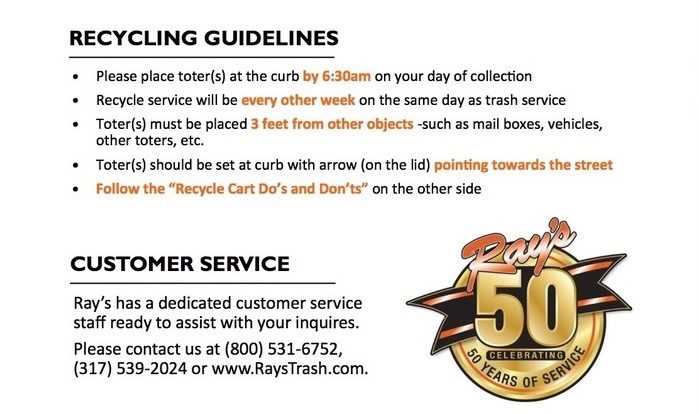 The City of Beech Grove and Ray's Trash Service are pleased to introduce curbside recycling in our city. This service will include municipal buildings, city parks, special events and residents who live in single or double family dwellings. This is a FREE service to you and we encourage your participation. Please call 803-9111, 803-9098 or 803-9120 to sign up, or you may notify us at compliance@beechgrove.com. A 96 gallon container will be delivered to your residence along with instructions as listed below. 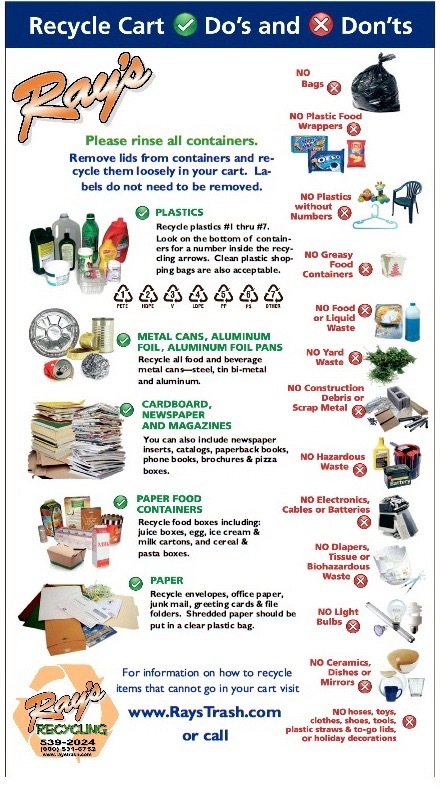 Recycling will be picked up wherever totes are currently being placed for trash pickup. If a resident's trash pickup is in the alley, then they will be expected to place their recycling tote in the alley as well. We look forward to hearing from you on this important environmental matter. Recycle all food and beverage containers that are clear and colored glass. Please rinse. There is no need to remove labels.